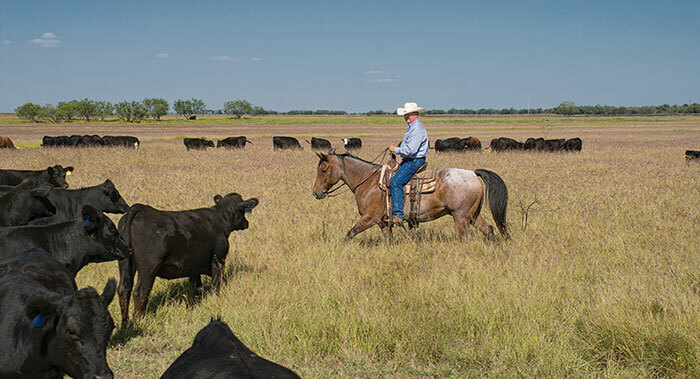 As an emergency room doctor and a first-generation rancher, Dr. Richard Thorpe offers a unique perspective as president of Texas's largest livestock organization. Growing up in suburban Dallas, Richard Thorpe was obsessed with all things cowboy. In grade school, doodles and drawings of cowboys ﬁlled his notebooks and his thoughts — and then in high school in the '70s, things got serious. "I drew up the ranch brand we use today during my junior year in study hall," the ﬁrst-generation rancher says. It was an unlikely hobby for a boy who was introduced to the outdoors through hunting and ﬁshing, but Thorpe had a purpose. Today, the child fully determined to live life as a cowboy has grown into a cattleman, currently serving as president of Texas's oldest and largest livestock organization, the Texas and Southwestern Cattle Raisers Association (TSCRA). "I had a lot of goals and a vision, and part of that was to one day get to where I could own a ranch," Thorpe says. "While growing up, I was very fortunate to have close friends whose families owned ranches, and we would spend weekends and summers there. I liked it so much that I decided at a very young age that I wanted to live on a ranch. "Why would you live in the city when you can live there?" he says of the country. "We chose Winters because land was affordable and it was good land that I thought we could do something with agriculturally," he says. The location also offered opportunities for Thorpe's medical career, with four hospitals within driving distance. Both Thorpe and his wife had rodeo in their past (they met at a rodeo in their twenties), so starting out with a horse operation seemed like a logical ﬁt. Over time, however, Thorpe became intrigued with the business aspect of raising cattle. "That was when I evolved from being a cowboy into a cattleman — and suddenly, the picture got a whole lot bigger." The Thorpes started attending TSCRA School for Successful Ranching events, the organization's ﬂagship educational program, which offers demonstrations, classroom lectures and general sessions led by experts on current topics. "These were our people," Thorpe says of those early events. From there, the couple became regulars at TSCRA meetings and functions. With a solid reputation and a medical degree as assets, Thorpe was asked to represent the organization on the Texas Beef Council, serving on the board for six years. He later served on the executive committee of the National Cattlemen's Beef Association (NCBA), where he chaired both the Human Nutrition Research Committee and the Culinary and Beef Innovation Group. "As a doctor, I've always pushed to prove that beef is healthy and has a very important role in the American diet," Thorpe says. He's been quoted in countless publications, been interviewed live on national network news and played a role in national dietary guideline discussions. "I really love this association, and I'm so privileged to have been asked to be a director and ofﬁcer," he says. "The organization has a very proud history, and I want to carry that torch on." "The cost of membership is by far the best value a rural landowner can get," Thorpe says. "We represent mainly cattle ranches, but we also have members who have horses or recreational property." In addition to actively promoting the health beneﬁts of beef, Thorpe has been a strong advocate for private property rights. "I know how hard it is to get land and how much it means to have it to raise a family on," Thorpe says. "It's a very personal, horrible thing if you've ever been a victim of eminent domain — for you to spend your whole lives building a ranch and then to have someone come in and say, ‘we're taking it.'" 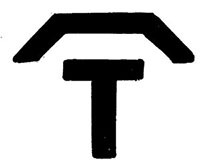 The Thorpes still live on the ﬁrst ranch they purchased in 1985. 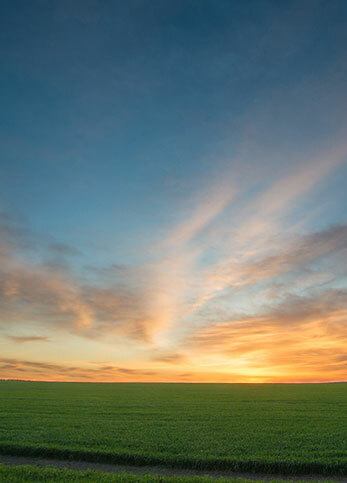 As adjoining and nearby properties have come available over the years, they've turned to Central Texas Farm Credit to ﬁnance additional purchases. To further diversify, they recently added high fencing and a lodge on one part of the ranch where they plan to begin a deer operation. Brian Meeks, Central Texas Farm Credit's San Angelo branch manager, says that the association helped provide ﬁnancing for the construction of the lodge. Richard says that he and wife Karen operate as a team, and he credits her for keeping the ranch going as he attends to TSCRA or hospital matters. "It has been a privilege working with Richard and Karen for more than 25 years as they have used our loan programs to improve their ag operation to what it is today," Meeks says. "They're great people who understand and love ranching life. Their involvement in the TSCRA speaks of their passion and dedication to preserve the past, protect the present and promote the future of the Texas cattle industry." Thorpe currently splits his time between TSCRA commitments, the ranch and the emergency room at nearby Abilene Regional Medical Center. He's quick to note that while he may spend more time away from the ranch, his family, especially wife Karen, more than pitch in. "When I'm at the hospital or doing something for TSCRA, our ranch doesn't lose a step," he says. 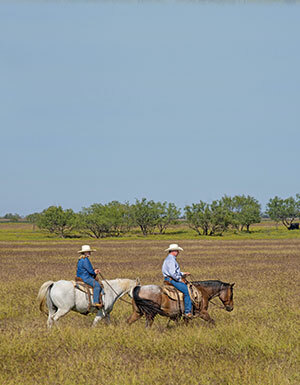 "Karen knows as much about ranching as I do — we both came up through the school of hard knocks." And while neither of them grew up in ranching, they are making sure that their love of the ranching way of life is being passed down. Daughter Tami resides nearby with her daughter and husband, Chad Halfmann, who comes from a family in the Red Angus seedstock business, and the couple's son, Scott, and his wife, Misty, have three children who visit the ranch often. "I'm very proud to be a ﬁrst-generation rancher, but I'm really excited to see the third generation on the ground," Thorpe says of his grandchildren. 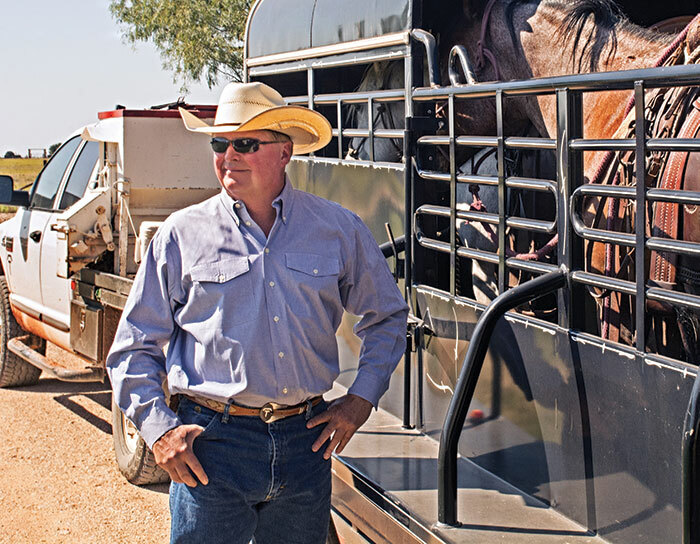 "Since I didn't get the chance to take over a family ranch, my goal has always been to establish a ranch that could be passed on for generations. I've accomplished what I set out to do."